We’re delighted to have fixed a new date for Templar Nights, and the venue will be our newly refurbished Library. Existing tickets are still valid. Templar Nights showcase four northern based poets who have all published poetry collections with award winning independent press, Templar Poetry. 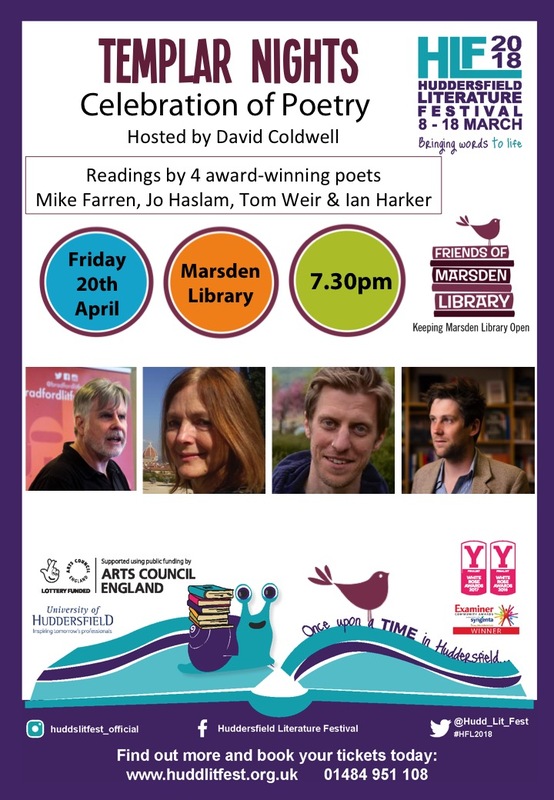 Hosted by Marsden poet, David Coldwell, don’t miss this wonderful library event supported by Huddersfield Literature Festival. 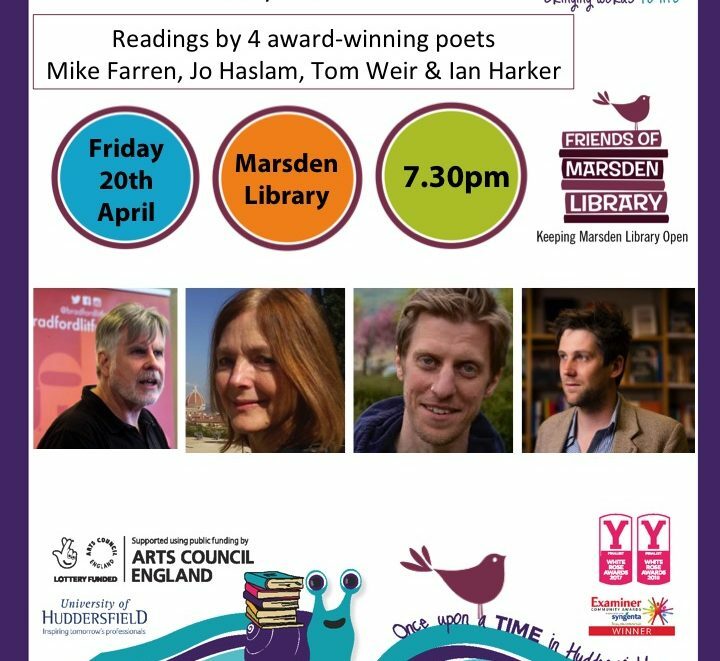 Tickets are available from Huddersfield Literature Festival or Marsden Library. Doors open at 7pm, Bottle Bar, Teas and Refreshments.